If you’re feeling stuck in a career rut or just need some inspiration, listen to How I Built This from NPR. 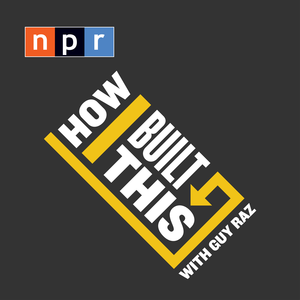 It’s a podcast featuring different entrepreneurs telling the stories of how they built their businesses, in conversation with host Guy Raz. I find it fascinating to hear how people were undaunted that they knew nothing about manufacturing, or how to get investors, and still soldiered on chasing their dream. We all have interesting ideas for products or services from time to time (at least I do!) but we don’t always believe that the idea has merit or feel that we know enough about the industry to actually make that idea a reality. The podcast covers many well-known companies like Patagonia, Dry Bar, and Air BnB and lays bare the struggles and the success along the journey to make these companies a household name. It might give you the entrepreneurial push you need!